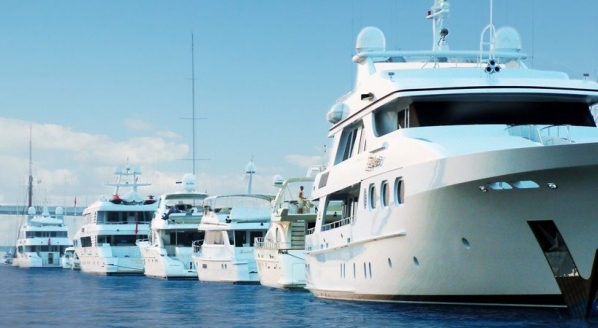 SuperyachtNews.com - Technology - Antifouling - what's next for superyachts? 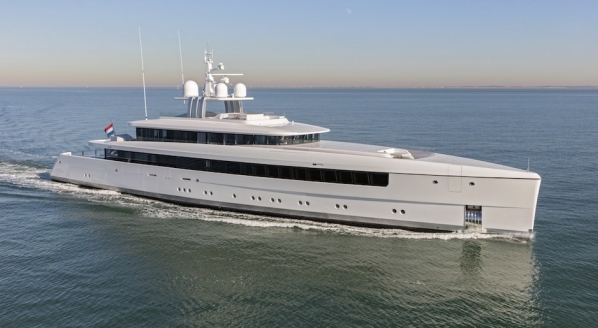 The focus of paint - at least when it comes to superyachts - is so frequently pointed at hull and superstructure finish that it is easy to forget that what happens above the water is only half the story. Sure, the fairing and the gloss are critical because that is, after all, the only thing the majority of owners, guests and passers-by will ever see. But what happens below the waterline can have a critical impact not only on the performance and efficiency of the vessel but also on the wider marine environment. Antifouling is becoming more and more a hot topic, both over the longevity of antifouling products and their performance on yachts, which can be static for extended periods of time, but also in the prevention of the migration of invasive species between different parts of the world's oceans and seas. But equally the chemical make-up of antifouling is coming under attack as governments seek to limit the impact of the biocide components on the wider marine environment. It creates something of a dilemma and, what's more, something of a challenge for paint manufacturers who are working on antifouling paints. The latest assault has come via the European Biocidal Products Regulation (BPR), under which anything that could be said to have a biocidal component - which includes everything from copper compounds to cayenne pepper - needs to be cleared before it can be utilised in a biocidal product such as antifouling. The process is time-consuming, sometimes confusing, and always expensive for antifouling producers - so how are they coping with this new regulatory landscape, and what will future antiflouling products look like? The process is time-consuming, sometimes confusing, and always expensive for antifouling producers - so how are they coping with this new regulatory landscape? Following on from our feature in issue 178 of The Superyacht Report, we spoke exclusively with Mauro Legrottaglie, research & development and technical assistance manager of the Boero Group. "At the moment," he begins, "Boero YachtCoatings offers a complete range of antifouling - hard-matrix, ablative and self-polishing. Thanks to a specific binding system and to a high content of active ingredients, they are products that can easily go beyond a yachting season which translates to less frequent maintenance and therefore an economic saving. For the future," he continues, "we are carrying out some research on binders and ingredients that allow an even more controlled release of the biocides and therefore an optimisation of its quantity, for the safeguarding of the marine environment." Adapting to the new regulatory landscape is far from straightforward though - formulating and developing an antifouling product is not a quick process. 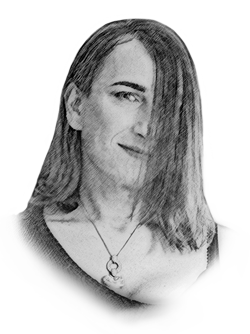 "In general, it takes three to four years to go from an experimental formulation to the product being launched," Legrottaglie explains. Initially, he says, the product is realised in the lab and is then examined with various tests to verify its quality and stability. Then it is tested at sea for at least 12 months through a variety of methods, including raft tests which are static and therefore present a 'worse case' scenario, with a location that is very challenging for the salinity, water temperature and presence of fouling and nutrients. "If the results are optimal," Legrottaglie says, "the next phase consists of field tests - which are followed by the R&D and Technical Assistance departments - on board some test yachts. 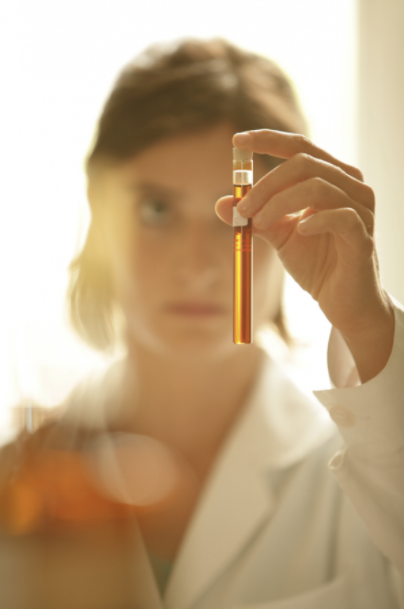 If the test results are optimal, the formulation can be release and manufactured." So how will the BPR affect formulation and compliance, and will it lead to delays in new product reaching consumers? 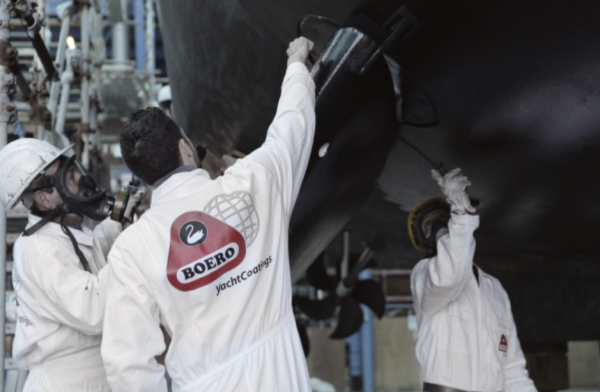 "Boero YachtCoatings has been active for several years in order to modify the complete range of antifouling to comply with the new BPR regulations," Legrottaglie tells me. "At the moment, Boero has performed all the necessary tests in order to register its product range and is ready for the market launch of the new products at the beginning of 2018. Despite the challenge of only a limited number of biocides being available and the complexity of the subject and the tests performed (such as skin penetration and environmental impact), Boero YachtCoatings is now ready to supply products with performances that are in line with and, in some cases, better performing than the pre-BPR products." Of course, in an ideal world antifouling would be completely free of biocides, and would use alternative clever technologies to deliver the same, or better, performance as current paint products. Much has been made in recent years of biomimicry, and studies are underway into how certain whales and sharks, for example, manage to keep foul-free without stopping every 24 months for a quick paint job. Moreover, modern science is constantly making progress in fields such as nano technology, and it rather suggests the question of what the antifouling R&D labs are looking at as future antifouling solutions. Getting an answer, of course, is not straightforward and few R&D labs will ever divulge exactly what they are working on. As such, Legrottaglie is typically cagey about the subject. "One project [we are working on]," he hints tantalisingly, "includes the development of technologies that are able to avoid the use of biocides, therefore improving the product's impact on the marine environment and on our own health." If next-generation antifouling can deflect marine critters as efficiently as paint companies can deflect questions on their R&D work, we should be in safe hands indeed. "One project [we are working on]," he hints tantalisingly, "includes the development of technologies that are able to avoid the use of biocides." 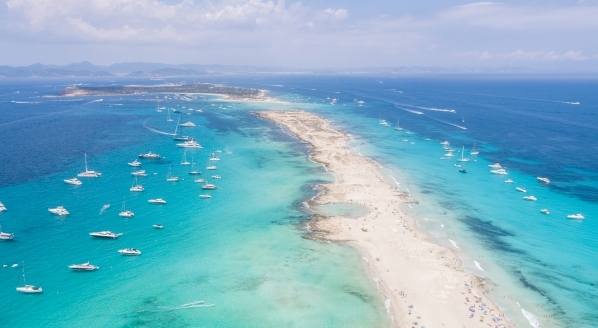 But it does rather leave an area of concern, particularly for superyachts. 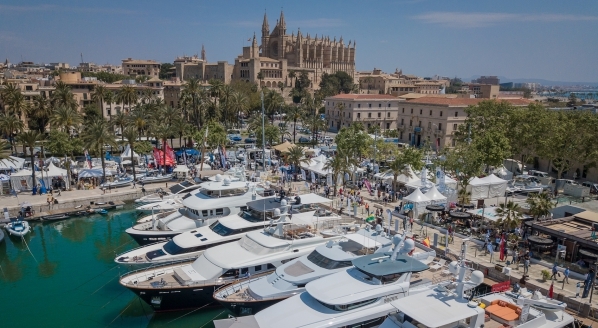 A raft of new local environmental regulations, particularly in places like Northern Europe, is already threatening to create havoc among the sub-24m leisure boat antifouling market, and while it looks like superyachts will be fortunate enough to escape such Draconian approaches by being classified the same as commercial ships, one can't help but wonder where we go next. "The future of antifouling for superyachts is made of products which are more and more effective, while at the same time following the regulations of the various continents, therefore more and more eco-friendly," Legrottaglie concludes. "Boero YachtCoatings' aim is to combine antifouling performance, ease of application, respect for the environment and reduction of fuel consumption and maintenance costs of yachts without neglecting the aesthetics, offering a wide range of bright colours. A flexible and well-organised structure has allowed us to obtain products which have been constantly improved and perfected over time, and to follow specific regulations, which in some cases are very strict, with specific products that have been homologated for specific areas and markets. It is also important to note that, apart from high-performance antifouling, we deem it fundamental to support and cooperate with our partners and customers with our specialised, professional and highly experienced Technical Assistance team." We considered the regulatory landscape of the BPR and its impact on antifouling for superyachts in issue 178 of The Superyacht Report. Have you subscribed to The ‘new’ Superyacht Report? If you are a captain, owner, yacht manager, chief engineer, first officer, broker, designer, senior shipyard management, an owner’s representative, investor, or a family office, you are eligible for a complimentary annual subscription to the only superyacht industry publication worth reading. To apply for your VIP subscription, click here.